Twilight, warm breezes, and a firefly show are three of the best parts of summer, and there’s nowhere better to catch the parade of nature than from your outdoor entertaining space. 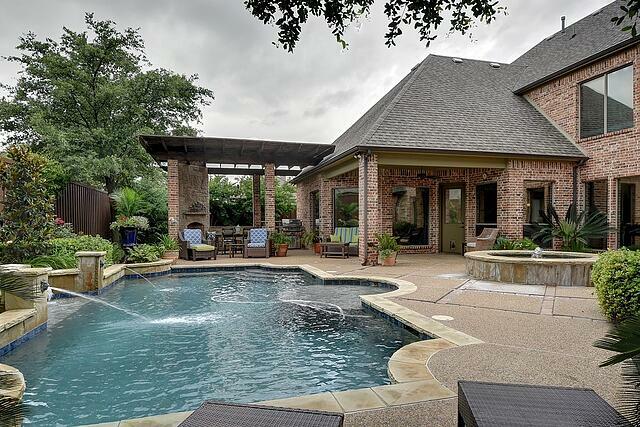 Quaint or extravagant, deck, backyard, and rooftop space are the places to spend hours relaxing and enjoying the view. 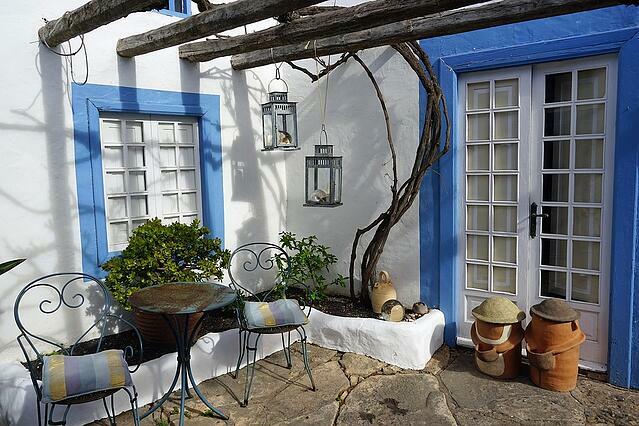 Begin by evaluating and reusing existing outdoor space, as this keeps the budget in check. For example, vertical walls or fencing are hard to eliminate or alter, but dressing them with climbing plants or outdoor fabric camouflages their negative qualities. Current patio or porches improve easily with decorative items and strategic furniture placement. The same is true for rooftops and balconies, but the sight lines of the view down below need to be considered. A thorough cleanup is a must. Sweeping, power washing, and a general scrub down improves the feeling of the space immediately. 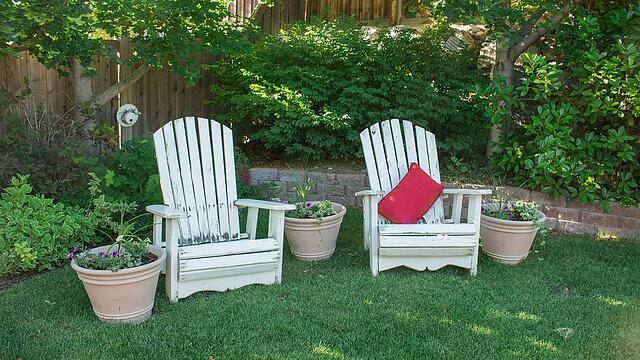 Read on for tips for creating your best summer outdoor space! Taking some time to visualize what you’d like the outdoor area to accomplish will guide the direction of how the layout will function. 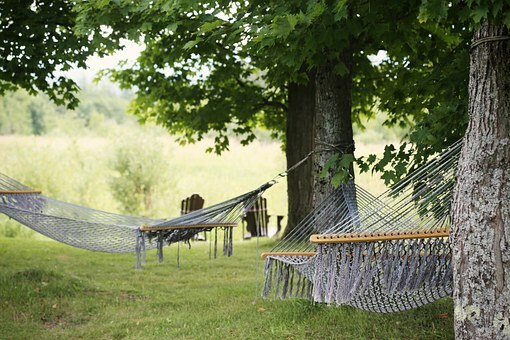 Is this a lazy Sunday afternoon spot with a hammock swaying in the breeze? Or, are happy hours marked on the calendar for every Friday night throughout the summer? Furniture choices and layouts hinge on the intended use. Every room benefits from a rug, and outdoor rugs are extremely budget friendly, easy to find, and simple to clean. Area rugs provide color, interest, and texture under bare feet, while visually defining the room. The toughest part is measuring for the proper dimensions, as most shoppers tend to buy too small. Decorative fencing, string lights, and lattice walls all give the sense of a distinct space and are alternatives for shaping a room if permanent fencing or railing is absent. Determining the primary use of the space (and how large or small it is) is a good indicator of what type of seating is needed. A casual, small front porch might only require a three-piece bistro set. An expansive and frequently used deck area often benefits from multiple seating arrangements, especially for large parties. A dining table with four to six chairs is complemented by one or two more pairs of chairs nearby. This setup mimics many arrangements found in kitchens and entertaining rooms inside the home. Unless your porch is used strictly for sunbathing, don’t skimp on the shade. The sun’s rays will make it unpleasant regardless of how nicely it's set up. Shade doesn’t only have to come from backyard trees, however. Portable umbrellas, retractable house awnings, and even an-easy-to-build pergola wrapped in vines bring cooler temperatures. Plants are really the workhorses of outdoor living. A lush plant scheme of potted flowers and trees present many utilitarian uses. 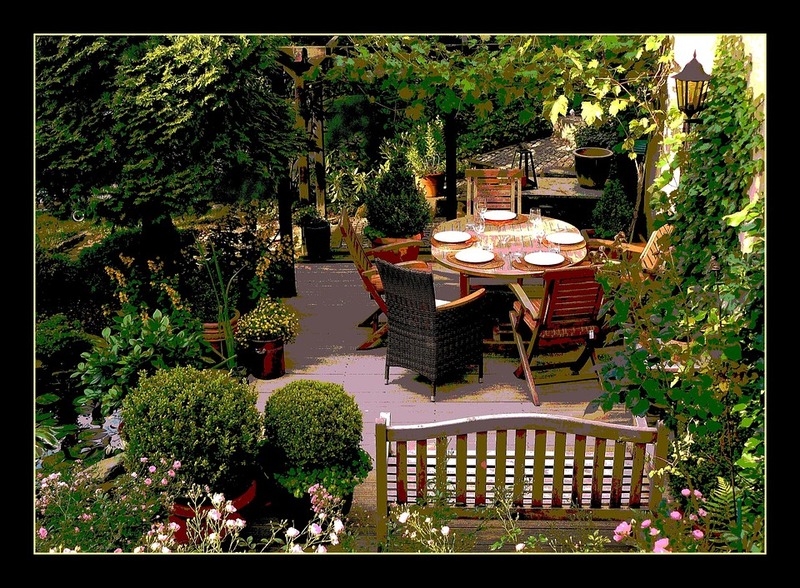 Ambience, privacy, and even further cooling is provided by rows of tall plants and trees in pots or in the ground. Even some types of bushes, like boxwoods, do well in planters. Colorful flowers contribute to pleasing views and garden items add whimsy as well as grocery store savings. Don’t be deterred; most new decorating projects take a tweak or two to get the feel just right, but these five elements help shape an outdoor living space that friends and family will hate to leave! Summer is moving season for military families and MilitaryByOwner has information for all aspects of a PCS. Buying, selling, and renting is all covered in free Ebooks. Download yours today!